Looking for a safe destination for your family vacation this year? 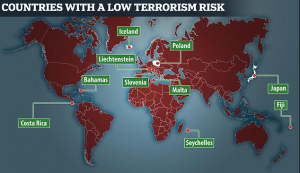 With the threat of terrorism hanging over a number of European countries, the British Foreign Office has identified Costa Rica as one of the world’s lowest risk vacation destinations. Repercussions from conflicts in Iraq and Syria have led to a number of traditionally popular tourist spots being redefined as high risk. 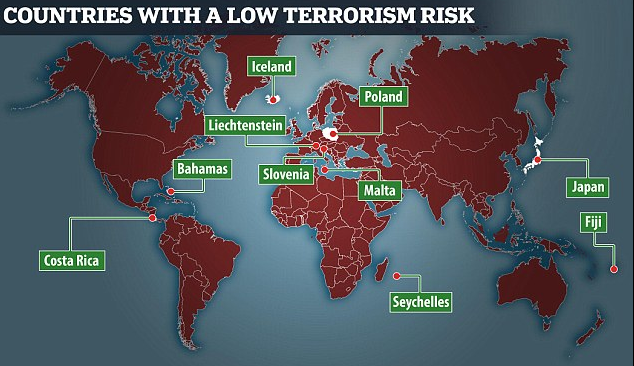 Poland, Lichtenstein, Iceland, Japan, the Seychelles, the Bahamas, Malta, Slovenia, and Fiji were also named as countries where terrorist attacks were considered unlikely. So 2016 is the year to skip Europe and the U.S.A. for your vacation and head to the peaceful, eco-friendly land of Costa Rica. Costa Rica’s decision to abolish its army in 1948 and dedicate public spending into education and health, and its commitment to environmental issues, has led the country into a peaceful direction politically. This political stability and peaceful approach to politics has led the country away from the conflicts of its close neighbors and established the nation as the "Switzerland of Central America." « Santa Teresa – The New Tulum?